The Escalera CopyCaddy a must for anyone in the photocopy business. Allows one person to easily handle most console copiers on their own. 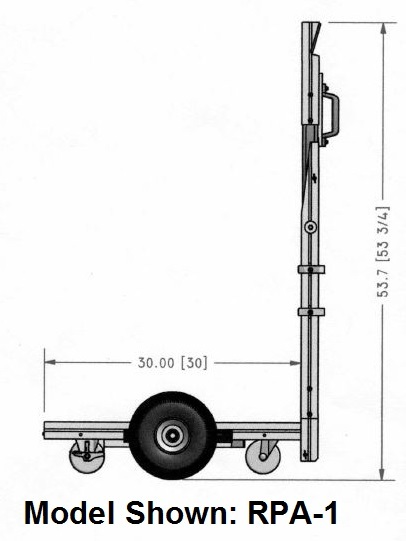 Large swivel casters and rollers allow you to roll on rough terrain without damaging the copy machine. Works great together with the Escalera Stairclimber Forklift, make sure to watch the video below. 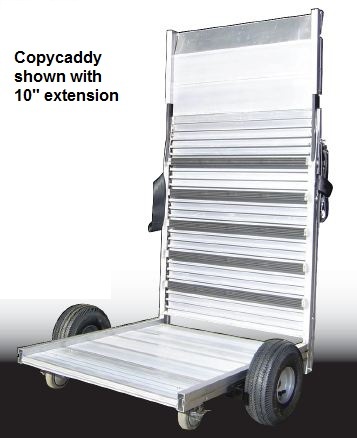 If you want to buy it the copy dolly with the Stairclimber, make sure to call us for special discount. Comes standard with height-adjustable security strap, and removable all-terrain wheels. 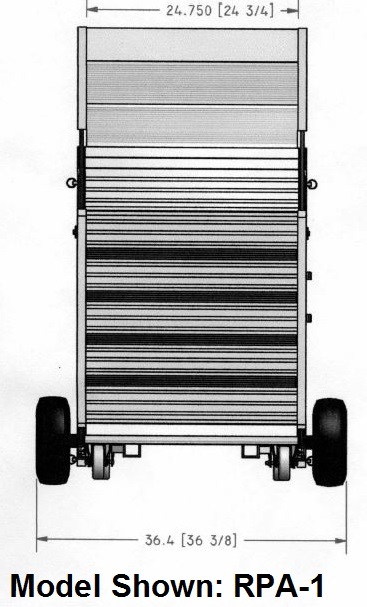 Please Note: The space on the deck should match up with the wheels on the copy machine, not the overall size of the copy machine, as the machine itself will be raised and go over the side rails. RPA-1 is 36.4", RPA-2 is 43.65"
Very impressed, at first site I thought it may not be large enough to handle bigger copiers. I was wrong. Well built with a lot of thought put into construction. Well done ! Advantages: Perfect for moving Copiers, easy to use and gives machines a smooth ride ifrom truck to customer site.The large wheels are great for cobblestone and rough terrain. We used it for a ramp to move a large unit up 6 steps this morning with no problem. 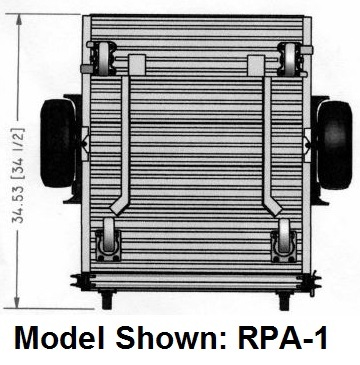 The man I ordered it from was very helpful with getting me the right size unit for our needs, he recommended that we purchased the RPA-1 when I thought we needed the RPA-2 and he was right. He saved us money and got us just what we needed.You don't see that very often, thanks ! Disadvantages: Haven't found one yet, seems ideal for our needs. Should have got one long ago. Very pleased.